Research & Consultancy Committee for the academic year. To promote research and development activities in the field of Information Technology & Management. presentation in conferences at national & international level. To prepare faculty members & students for research paper publications in journals. To publish the International refereed Research Journal- I4 of the Institute twice a year. To ensure the importance of academic integrity and the pursuit of quality in all research. To mentor/Guide/Coach the research students. will be approved at departmental level. in conference/journal. The money is reimbursed after the submission of respective documents regarding such expenditure. The conference registration fee up to Rs. 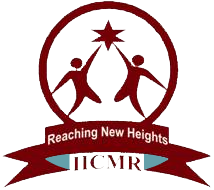 10,000/- per head is sponsored by the Institute management for faculty member. International research Journal I4 within the span of 2 years. advance considering the time, IICMR resources used for the same. and approval by the concerned Director. Policy is applicable for all employees of ATSSs IICMR. and or promote research in a special event. The policy is subject to an annual review.